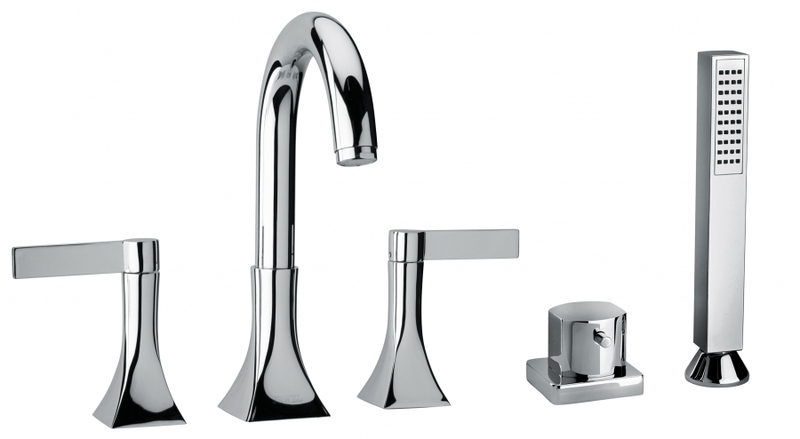 Dimensions: Overall Height: 9.95"; Spout Height: 6.8"; Spout Reach: 6"
This five piece set brings functionality as well as a modern touch to the bathroom. 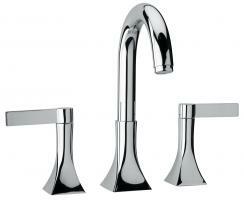 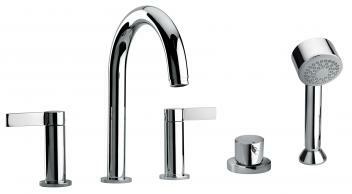 The spout has a nice arch that goes well with the gently curved base of the handles. 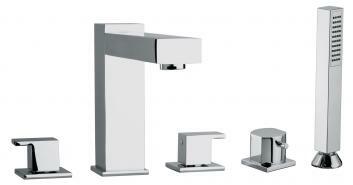 The water flow and temperature is easy to control with this design and the piece is also easy to clean. 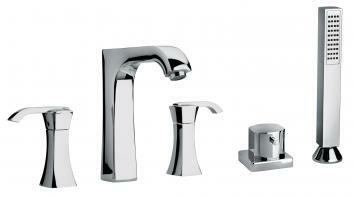 Available in a wide selection of finishes.